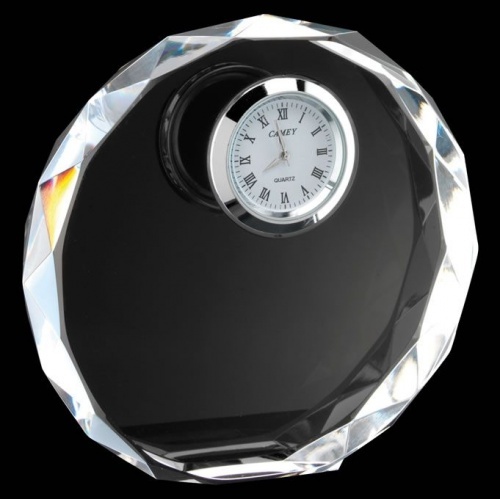 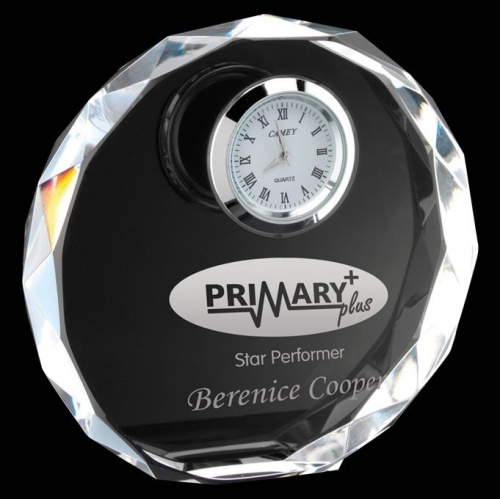 Buy these bevelled circle flat glass clock awards online and get low prices, fast turnaround, custom engraving and low, fixed cost UK delivery. 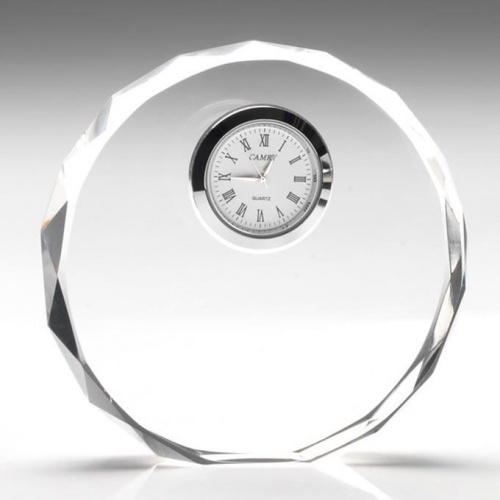 Standing 4.25in tall, they feature a free-standing circular plaque in clear glass with multi-bevelled edges and with a silver framed clock inset in the upper centre of the circle. They are ideal engraved as personalised gifts or awards, and are offered here with a low-cost custom engraving service.